Do you have too few USB ports? 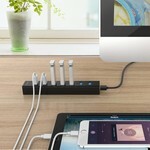 This USB 3.0 hub with 7 ports solves your problem of the lack of USB ports! 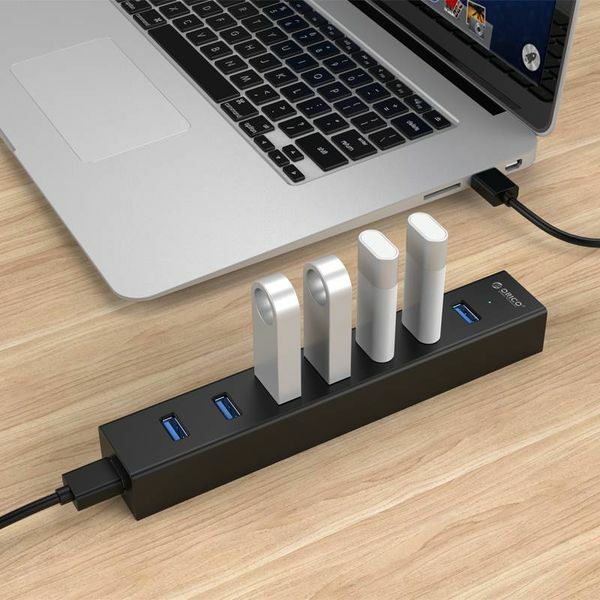 This modern USB 3.0 hub makes 1 USB port 7 USB 3.0 ports which gives you extra connectivity. 5Gbps SuperSpeed ​​thanks to USB 3.0 and an advanced Via-Labs VL812 chip give you excellent performance, fast and stable data transfer and save you time. 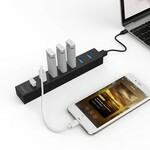 This USB 3.0 Hub is compatible with all common computers, laptops, smartphones, tablets and other devices with a USB connection. The included USB 3.0 cable can be connected to any USB 3.0 for super fast 5Gbps data transfer. 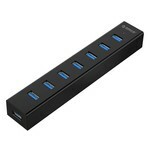 Of course, this USB 3.0 hub can also be used with USB 2.0 and 1.1. The 7 port USB 3.0 hub is modern and made of high quality ABS. With a soft matt black finish, this USB 3.0 hub has a sleek, modern and elegant design. Thanks to its light weight, it is easy to carry in your pocket, bag or suitcase to school, on a business trip, during a conference, etc. This way you can work anywhere and at any time with enough USB access ports. 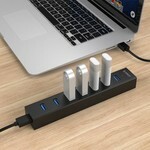 This USB 3.0 hub with 7 ports is equipped with the possibility to connect additional power supply, so that multiple devices can be used simultaneously without loss of speed. A USB power cable is included as standard, which you can connect to a second free USB port of your computer. This way you can work flexibly and mobile with this 7 port USB 3.0 hub. 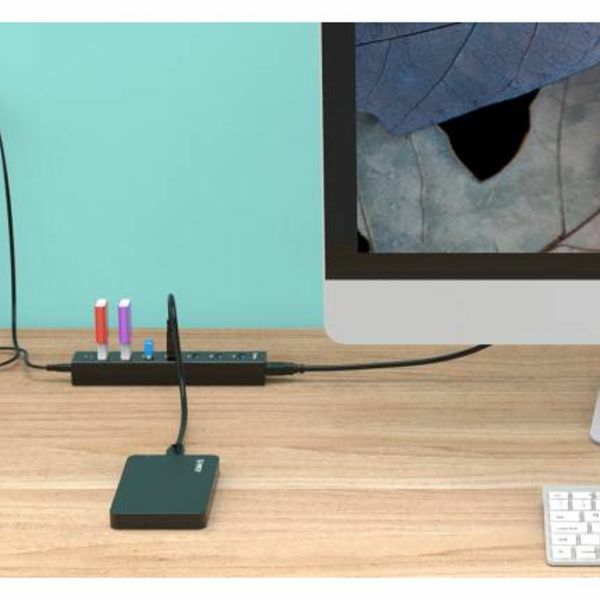 In addition to its slim size, the USB hub is lightweight, making it easy to fit into your pocket, bag or suitcase for use at school, your flexible workspace, on a business trip, during a conference, etc. So you can work anywhere and at any time with enough USB entrance gates. 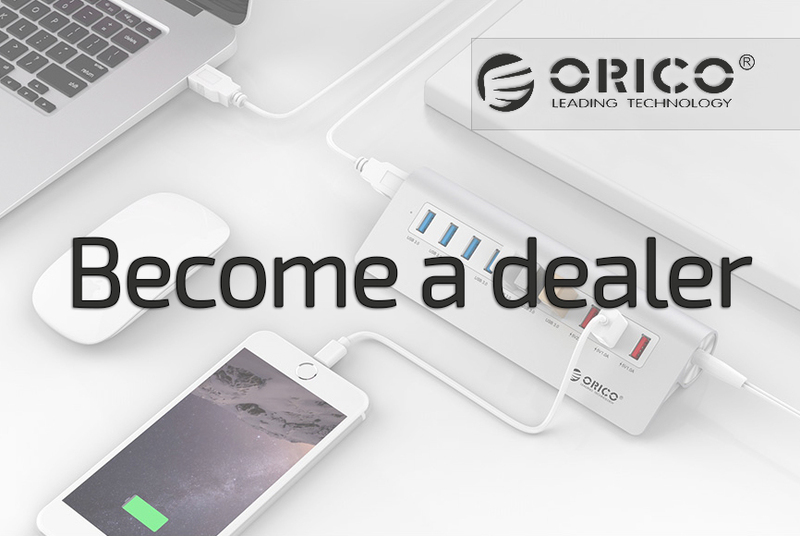 The Orico 7 port hub is compatible with all Windows, Mac and Linux computers and most common smartphones, tablets, laptops, desktops and other Apple products such as Ipad, Iphone etc.